Minecraft houses come in all shapes and sizes and follow different building styles. 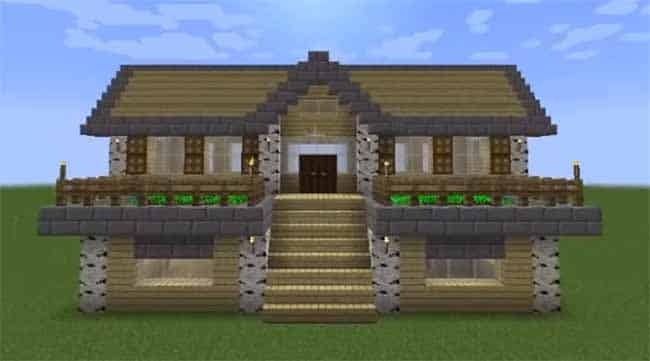 The most popular type of Minecraft house to build in survival are usually modern or medieval style. Medieval Minecraft houses are popular in survival because they usually are made of wood and stone. Both of these materials are very easy to get and come in lots of different types. However, if you’re up to the challenge, you can also build a large modern house. This will usually require more complicated building blocks like concrete. This is a house from a naturally generated village in the 1.14 Village & Pillage Update. 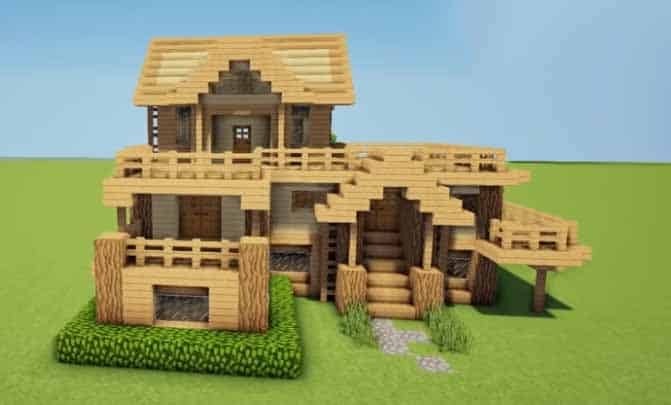 The homes in villages can be a good starting point or example for how to build a simple Minecraft house. 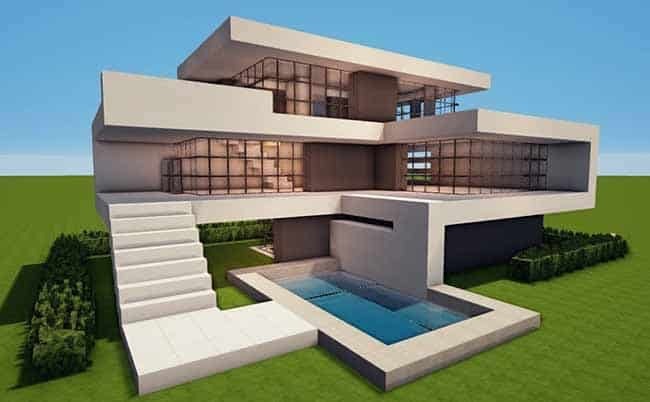 Modern Minecraft houses usually have lots of glass, white colors, pools, multiple floors, and staircases. 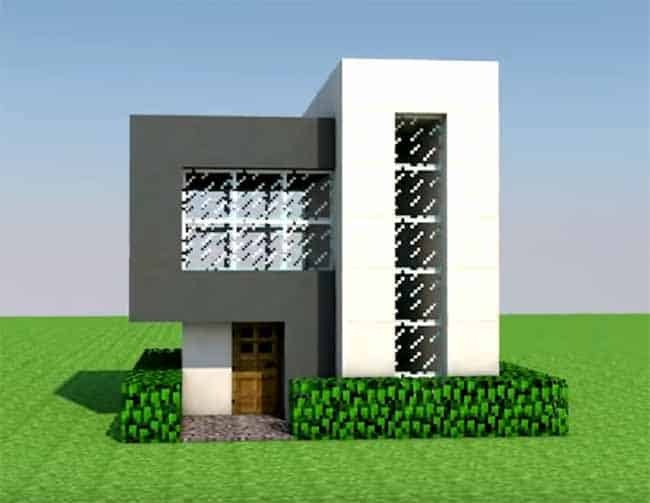 This house built by WiederDude is a good example and includes these elements. For the building blocks, usually wool, quartz, or concrete is used. Quartz is often the best because you can also make staircases and slabs with it. An elevated survival home that is simple to build. Has a balcony with stairs leading to the entrance, with a basement under the balcony. Includes a farm on the balcony for food and glass to let in lots of light. This mansion features multiple stories and is mainly made of sandstone. If you’d like, you can download the mansion file at the source website. A model of a real-life home in the suburbs can be easy to build in Minecraft. 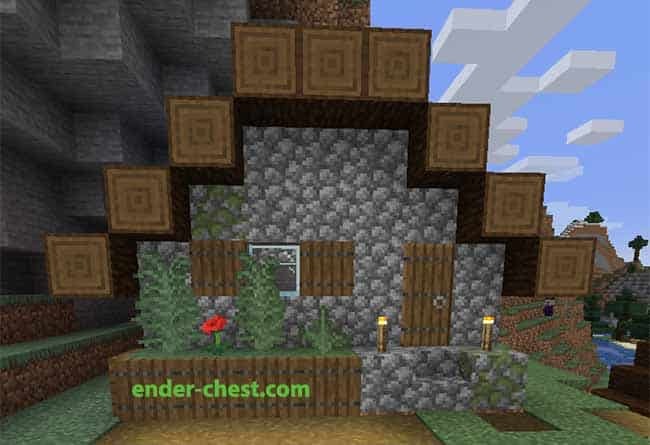 Use blocks like concrete, wool, stone, and wood to make this home. 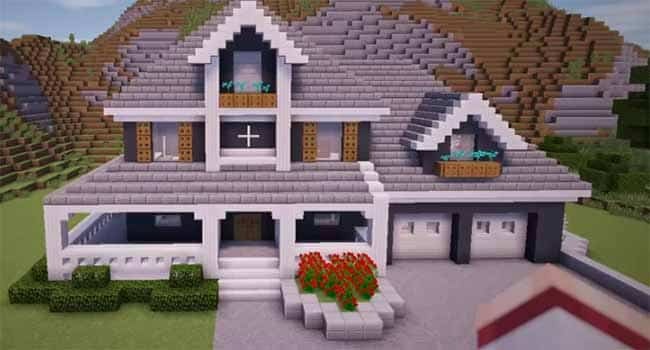 This kind of Minecraft house is similar to a Woodland Mansion. Modelling your house after a naturally generated mansion in the game can make building easier. A forest mansion would usually be built somewhere in the middle of a forest and made primarily out of wood and a bit of stone. 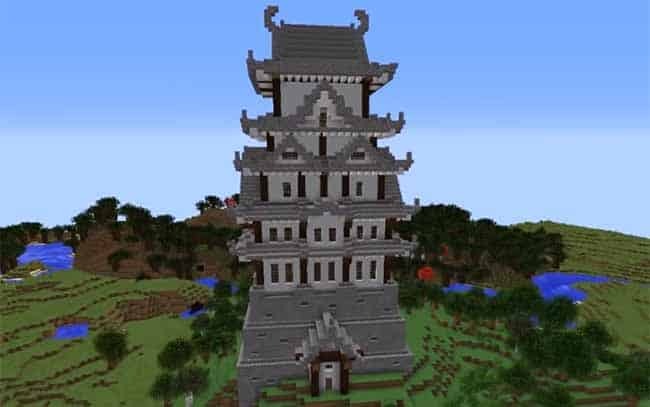 An Asian themed Minecraft home can be challenging to build because of the angles and curves involved. You might find it helpful to install an Asian decorations mod to help you build with this style. A simple wooden home that has multiple floors. It’s compact and practical, with a main floor, a basement, and a second floor. You could easily put a storage chest room in the basement. Modern homes can also be very compact and small, but still practical. This tiny home can also be an entrance to a larger underground area. A very cool, modern tower which can be used as a hotel or apartment. Each unit has glass walls with an opposing balcony. This build makes use of blue stained glass to enhance the modern look. 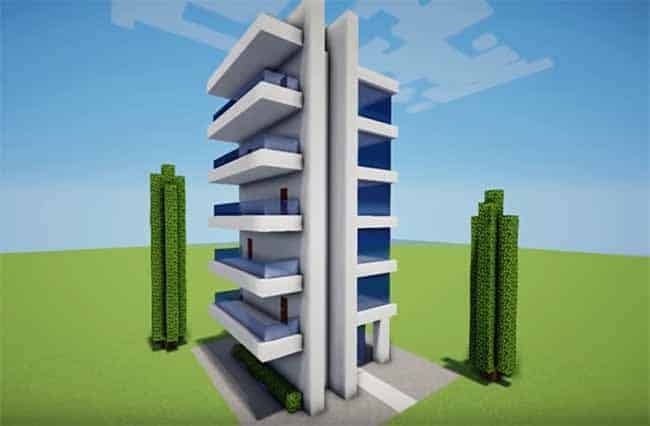 Taller towers can be built as a part of the city building survival Minecraft challenge.